A local doctor's office that performs state-of-the-art hearing services to improve patients’ lives, had sound issues throughout their new office space. The head doctor noticed that the noise from the waiting room was coming into the testing areas, which was affecting the testing that was being performed to the patients. After a call with New England Soundproofing and an on-site assessment, we realized that it wasn’t just noise coming from the wall, but also through the door, and echoing throughout the hallway. Using the very successful door seal kit, New England Soundproofing was able to eliminate any noise from going through the doors. This door seal kit was the Door Seal MD and Automatic Door Sweep MD. Both, used together, blocked the noise that was coming through the gaps of the doors. 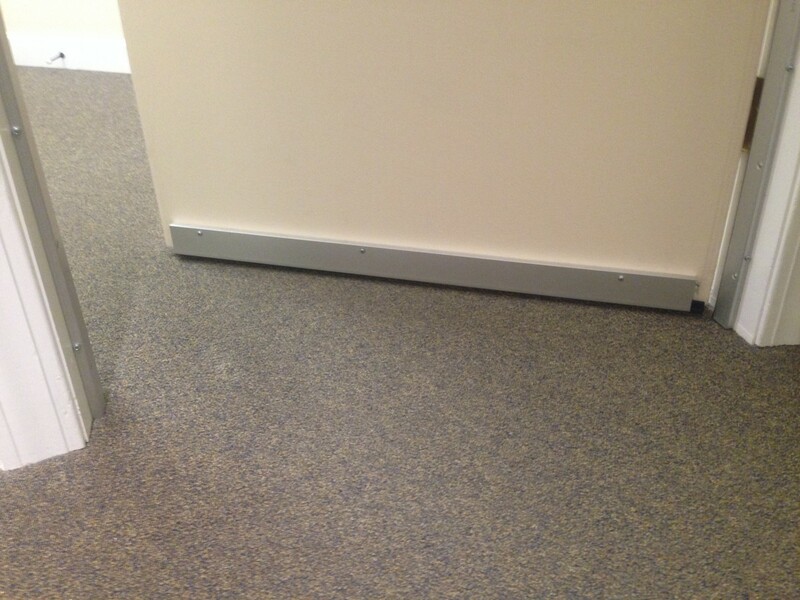 The adjustable door seals are able to withstand the high volume of door open and closures, while the automatic door sweep automatically retracts up and down so that it will not drag onto the ground. See the video and pictures for more details.